Visit São Vicente, Santo Antão & Sal. Includes internal flights. Experience three of Cape Verde’s most diverse and rewarding islands as you delve into the beauty of the Barlavento, setting foot on the vibrant streets, verdant landscapes and soft sands of São Vicente, Santo Antão and Sal. This seven-night island hopping itinerary will present some of Cape Verde’s most famed and unique attractions, as well as showcase the vast variety of the archipelago’s character – proving that each and every island possesses a distinct and proud identity. The Barlavento boasts a varying array of attractions, activities and landscapes, ensuring that each day of this island hopping experience will be dramatically different. 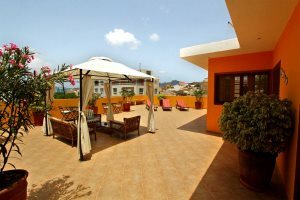 Beginning on the island of São Vicente, where you will spend two nights, your base will be the city of Mindelo, arguably among the most significant cultural centres in Cape Verde. The city is vibrant and exciting, defined by its music and arts scene which you can experience across numerous cafés and bars, with live music a common occurrence on most nights. After a day spent getting to know the cultural side of São Vicente, it is the island’s beautiful nature that should take centre stage during your second day here. From the stunning Laginha Beach in Mindelo, to the towering Monte Verde, whether you fancy relaxing or getting active and adventurous, São Vicente’s landscapes allow both. Hiking around the green valleys that surround the island’s tallest mountain, measuring 753m tall, is a fantastic way to get to grips with the flora and fauna of the island. The next of the Barlavento islands on your itinerary is the wild and rugged island of Santo Antão. The island is famous for its dramatic mountainous landscapes, perfect for those who like to indulge in a dose of outdoor adventure, with some remarkable hiking opportunities on offer. You’ll reach Santo Antão via a regular ferry service from São Vicente which takes approximately one hour, and the first thing that you’ll notice as you set foot on the island is the dramatic mountains that tower ahead of you. It is in these mountains that you’ll encounter some incredible walking, particularly in the mountain range between Porto Novo and Ribeira Grande. The final island on your itinerary is the beach paradise of Sal, reached by an internal flight that will take approximately 50 minutes. 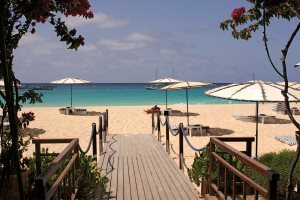 Famed for its long stretches of white sand and fantastic water sports scene, your final three nights in Cape Verde will encompass relaxation and indulgence, primarily around the coastline. If you fancy a day away from the beach, there are some fascinating sites to visit, including the stunning coastal phenomenon ‘The Blue Eye’, and the old Salt Mines, which today contain several salty pools that you can lay back and float in. It won’t be long until you’re drawn back to the sand and turquoise water, whether in the shape of a kitesurfing lesson on Kite Beach, or a dip in the water on Santa Maria Beach; the choice is yours. Don’t miss out on the vibrant nightlife scene around the town of Santa Maria, with more great live music on offer, as well as some tasty food in the various eateries that are lined throughout the town. A popular, 7-night island hopping itinerary that takes in 3 of the 6 windward Cape Verde islands. 2 nights in 3 grade Kira's Hotel, São Vicente. 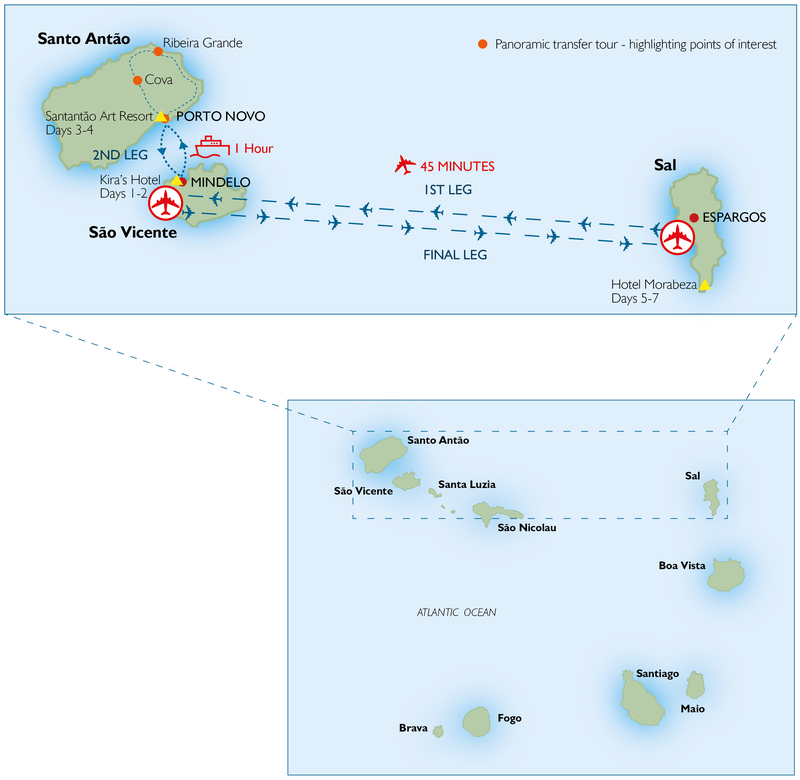 Upon your arrival in Sal by your international flight, you will travel to Sao Vicente by internal flights. These flights are provided by Binter and whilst every effort will be made to book direct flights, due to schedule limitations, these flights may be indirect. It should be noted that internal flights can and do change schedules and flights are sometimes cancelled, delayed or even early! You will reach Santo Antão by a regular ferry service. 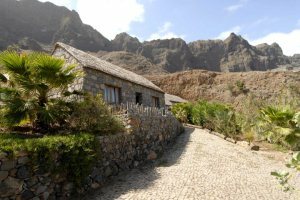 Situated in an amazing rural location, Pedracin Village is nestled amongst the stunning mountainous scenery of beautiful Santo Antão. An immaculately kept, family-run hotel boasting great facilities and direct access to Santa Maria’s golden beach, it’s no surprise that Hotel Morabeza continues to be voted the top hotel by our guests.